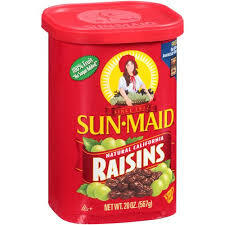 Target: $1.36 Sun-Maid Raisins and $1.92 Clorox Scentiva Pacific Breeze & Coconut Wipes! You are here: Home / ALMOST Everything (Featured) / Target: $1.36 Sun-Maid Raisins and $1.92 Clorox Scentiva Pacific Breeze & Coconut Wipes! Net Price: $3.83 or $1.92 each! Net Price: $2.76 or $1.36 each!